Asakusa is one of the most popular tourist destinations in Tokyo. Our local professional guide takes you to this vibrant area. 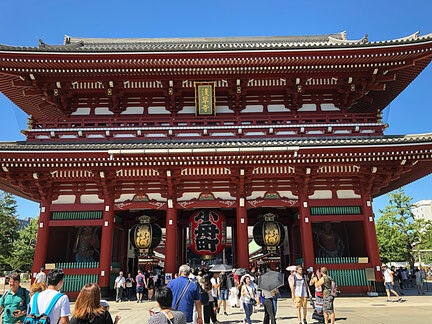 During the tour our guide shows you why Asakusa became such a popular area, not only for tourists but also for Japanese people. Ueno area is renowned as a Sakura (Cherry blossom) viewing party area. Even outside the Sakura season, Ueno is still a very popular area. Ueno park is one of the biggest parks in Tokyo and there are lots of museums and historical Shinto Shrines. Izakaya (Japanese style casual bar) is essential for Japanese life. You might have already known about Sushi and Ramen. However, if you travel in Japan , you should go to an Izakaya. Every region has its own speciality dishes, even in Tokyo. 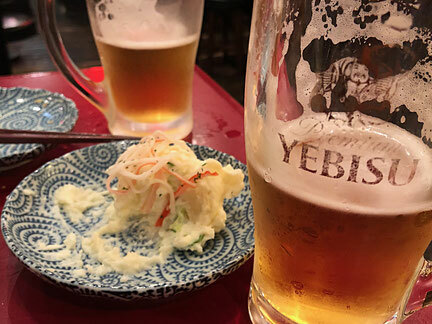 Drink and taste local dishes and feel the true Japanese atmosphere. 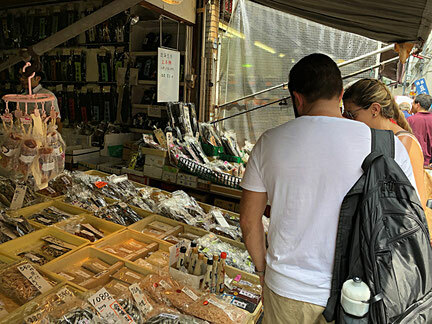 This tour is a great way to delve into Japanese culinary culture. Tokyo 1 day guided walk is the best way to sightsee in the big city. Hiring a local, knowledgeable guide results in less time getting lost in the winding alleyways. You can spend more time enjoying the places. Our guide will inform you when is the best time to go and how to get there quickly. To arrange your 1 day tour, let us know your wishes.